In the last 12 months, and specifically the last three months, we have read about or noticed many south central Pennsylvania store closings. Unfortunately, it is also a nationally occurring trend. Pfeifer says, the existing concept of a typical bricks and mortar store will be significantly modified. The enclosed mall concept we are familiar with that became popular decades ago will be redesigned or re-purposed in major cities where the population exceeds one million. All existing retail companies, large and small, are closely looking at the size of the store which they need for the future, especially the large big box stores. Most will reduce their sizes, and redesign their stores, incorporating the internet and online shopping, upgrading their appearance, and becoming more than just a place to buy a product – more of a showroom. You will order your product and it will be shipped to you rather than walking out of the store with it. Small communities with a population under 20,000 people are losing ground rapidly in offerings of brick and mortar stores in almost any and every category. Pfeifer believes the new designs we will be seeing in the bricks and mortar stores will eliminate the small-town locations, unless the demographic of the community is growing or has a unique feature that will continue to maintain sales. 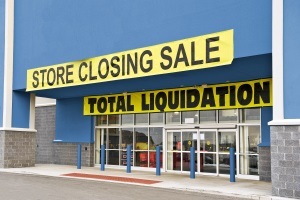 Disappointingly for many that reside in small-town America, many stores will close and cease in operations or relocate to larger, more populated cities. Presently, there are no notable solutions or answers to this eroding of bricks and mortar retail. What can smaller retailers and shopping center/ building owners do to evolve or protect their business and keep or attract tenants? Landmark Commercial Realty and Ted Pfeifer think there are many options, not only to evolve and change, but to protect their business or retail building. The traditional retail appearance and design, as well as the function of shopping centers of years past, will not allow for the same returns on rent, sales and profits as we once saw. Those days are gone for small retailers and owners who have not accepted and embarked on these changes.